Such a great story with a really detailed plot and great character development. Love a good court trial story.This is actually the second time I've added this book to my 'read' list on Goodreads. I listened to the audiobook and the cover on mine said it was all 3 novels in the series in one book, in actual fact it was only book one. Bummer!Anyway, I've switched to this edition on Goodreads and now I'm looking forward to either reading or listening to book 2, The Brass Verdict. 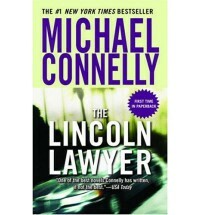 Hopefully it's as good as The Lincoln Lawyer.